Drawbridge Pharmaceuticals is a privately-held company developing neuroactive steroid compounds for use in critical care situations. The properties of these compounds include anaesthesia and sedation, anticonvulsant activity and neuroprotection. Phaxan™, the lead compound, is a fast onset and offset intravenous general anaesthetic and sedative that protects the brain from the harmful effects of insults such as hypoxia and trauma. The potent anticonvulsant and neuroprotective effects of Phaxan™ occur at doses that cause none or minimal cardiovascular depression. As such, Phaxan™ offers significant clinical and safety advances over currently available sedatives and hypnotics. 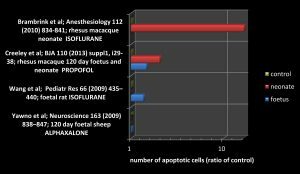 Phaxan™ has the highest therapeutic safety margin ever described for any anaesthetic drug.